Dr. Amanda Rey, ophthalmologist at the Department of Retina and Cataract of the ICR, has published an article in the prestigious international scientific journal Clinical Ophthalmology, which studies the visual result and the complications that occur in cataract surgery in patients who have previously undergone a pars plana vitrectomy. The first objective of the study was to observe the results after cataract surgery in vitrectomized eyes; the second, to analyze if the time of development of the cataract is related to pars plana vitrectomy (taking into account the general or ophthalmological background of the patient). The study analyzed 87 patients who presented cataract, with a history of pars plana vitrectomy, to which Dr. Rey performed phacoemulsification surgery and intraocular lens implantation for the treatment of cataract. Pars plana vitrectomy is a surgical intervention in which the vitreous cavity is accessed through the pars plana, and, with microsurgical instruments, the vitreous humor is extracted to work on the retina. 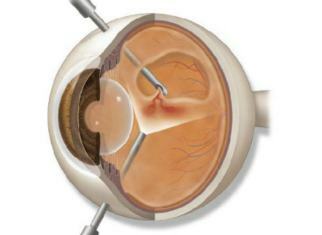 The vitreous is replaced by a saline solution, bubble of gas, air or silicone oil. A vitrectomy is performed to correct diseases of the posterior segment of the eye, such as detachments of the retina, macular holes, epiretinal membranes, vitreous hemorrhages or opacifications, and macular hemorrhages. There are several postoperative complications after vitrectomy, the most frequent is the appearance of cataract. It usually appears more frequently in older patients with a certain degree of nuclear sclerosis, or in whom gas has been injected during the retina surgery. Phacoemulsification is a microincision and minimally invasive eye surgery, which involves the use of ultrasound to dissolve and remove the damaged eye’s lens, to replace it with an artificial intraocular lens that does the same function and lasts for the average lifetime. In the vitrectomized eye, the lens does not have the vitreous counter pressure, which is a semi-solid and viscous substance, and during the cataract surgery significant variations of the depth of the anterior chamber of the eye can occur and that make the procedure difficult. 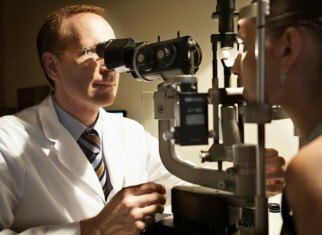 The study showed that the risk of developing cataract during the first year after vitrectomy is high, especially in patients with advanced age or with the onset of nuclear sclerosis at the time of retinal surgery. The axial length and the presence of myopia do not seem to be predisposing factors to cataract formation, and gas injection remains controversial. With the new devices and the new techniques of cataract surgery, our study confirms that phacoemulsification is a safe procedure for previously vitrectomized eyes and, in addition, it provides in most cases a great improvement in vision. Intraoperative complications include changes in depth of the anterior chamber and miosis (closure of the pupil) unexpected due to the absence of the vitreous of the eyes (vitrectomized eyes); and among the postoperative complications it highlights macular edema (especially in vitrectomized eyes of diabetic patients or with previous macular surgery) that can be treated with eye drops or injections. The study highlights the importance of ophthalmologists taking into account the special characteristics of the eyes after a vitrectomy to avoid complications during cataract surgery. 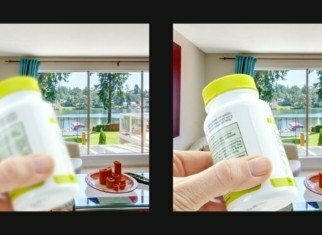 Good visual rehabilitation can be expected, although often limited by the underlying retinal disease.